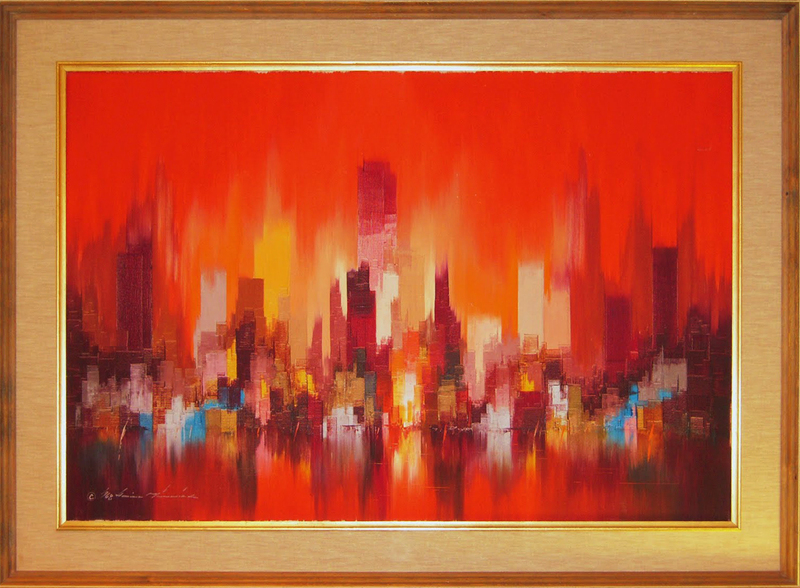 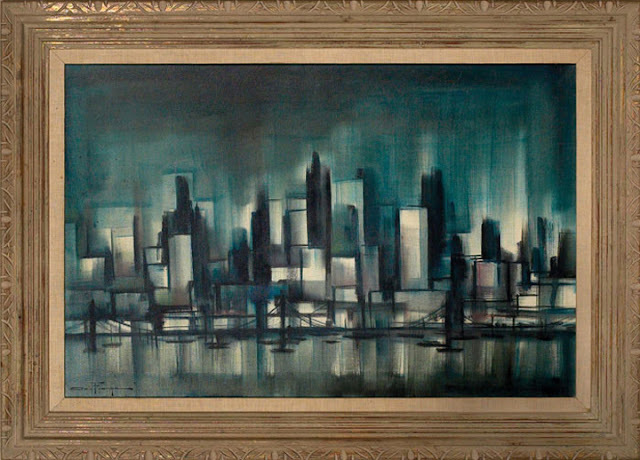 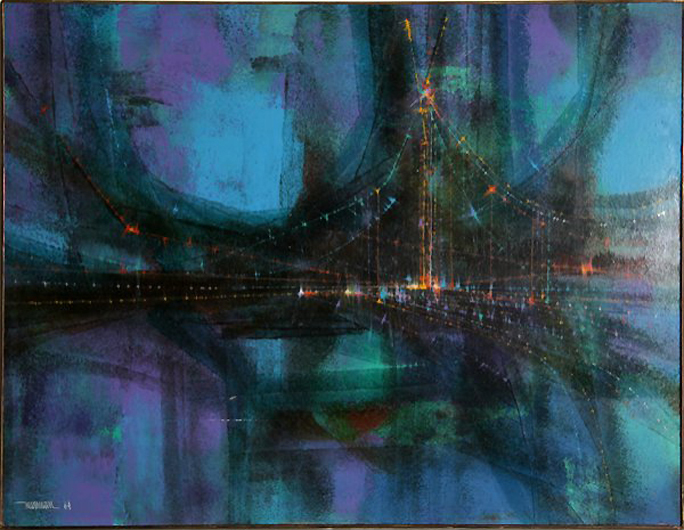 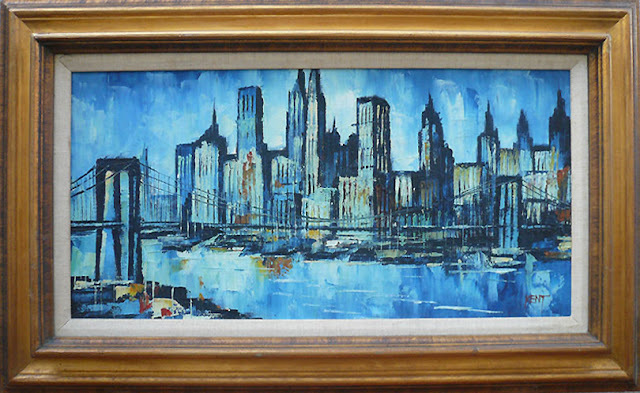 Today's "Movements & Themes" post features mid-century skyline and cityscape paintings. 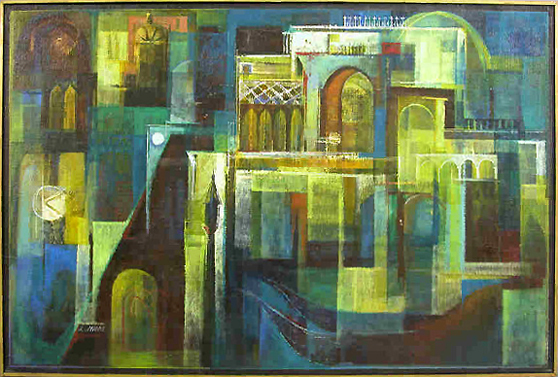 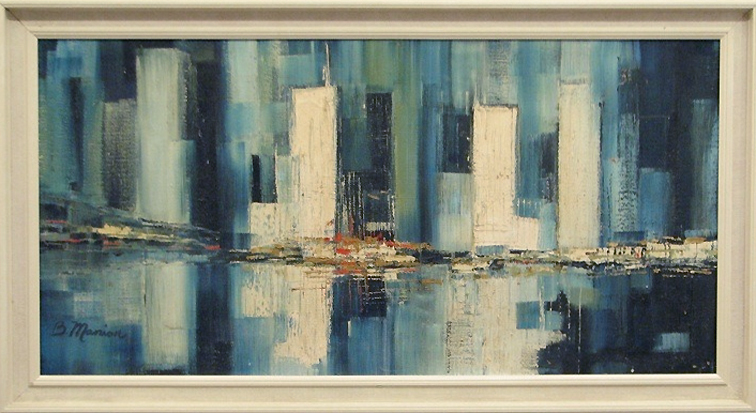 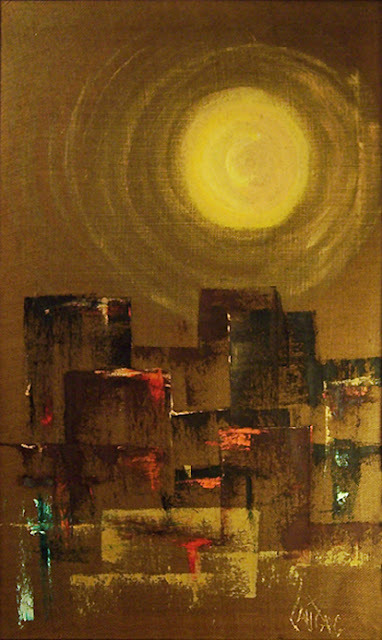 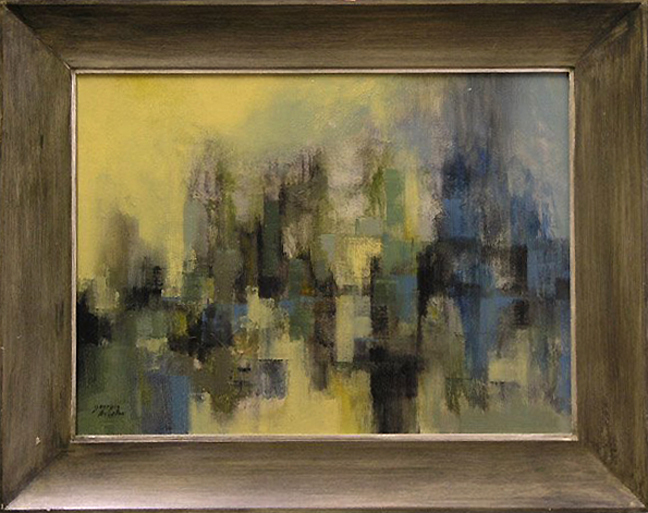 The urban landscape was often depicted in mid-century art and commonly featured hazy waterfront scenes reflected by the moonlight or setting sun. 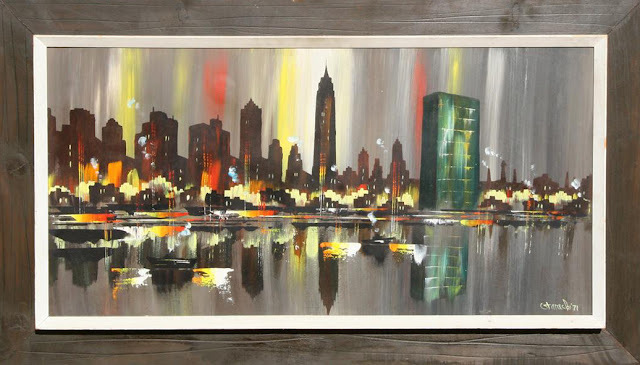 The color palette used was somewhat monochromatic, which gave the setting an overall glow, while contrasting dabs of color would give the impression of lighted signs, foliage or street lights. 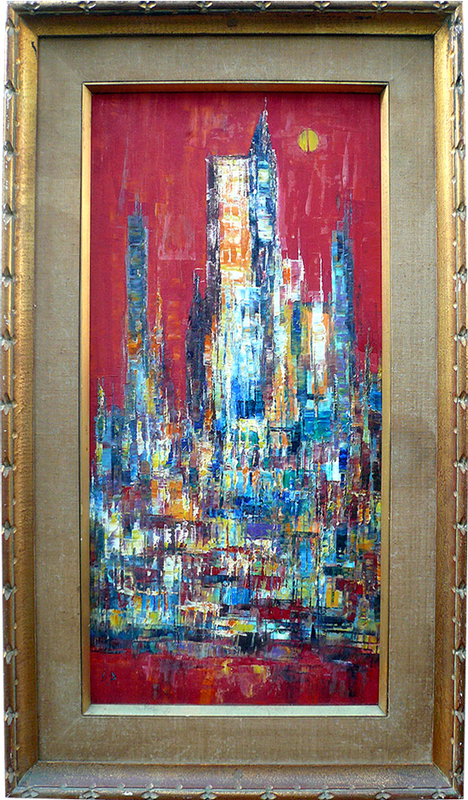 Textural interest was added through impasto, utilizing both palette knife and heavy brush work. J. Moore, oil on canvas, 36 x 54 in. Be sure to check out my other "Art Movements & Themes" post here.